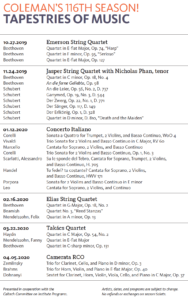 Our 116th season is a tapestry of music, woven from classical, romantic, baroque, and contemporary elements. The threads are voices, horns, clarinet, and most essentially, strings: bowed, plucked, and struck. Some of the music is familiar and well loved; some brings us new discoveries. The constant aspect of the tapestry of music is that it is ever-changing. 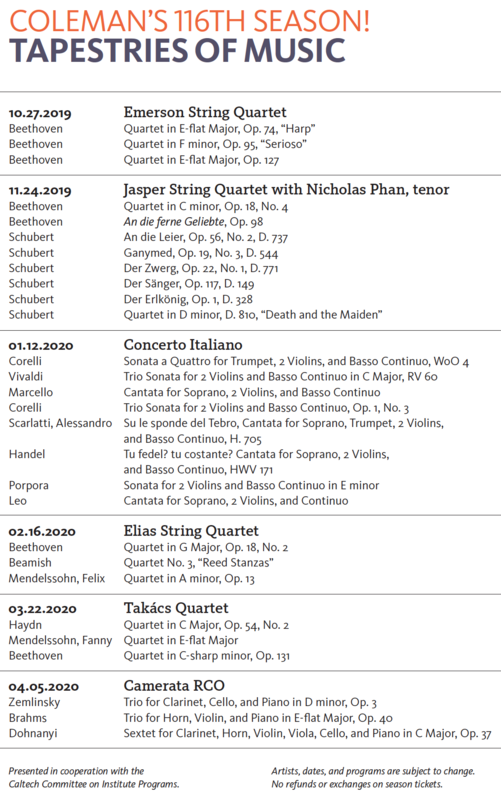 A major thread this season is the celebration of Beethoven’s 250th birthday. 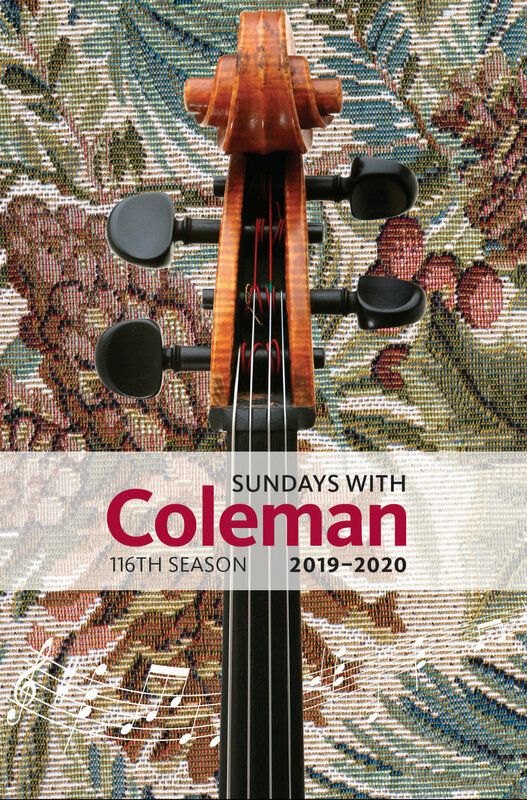 Reserve your season or individual concert tickets by calling the Coleman office at (626) 793-4191, or download the new season brochure and send in the order form. Download the new brochure and plan to join us!